A nice assortment of these graceful fish. 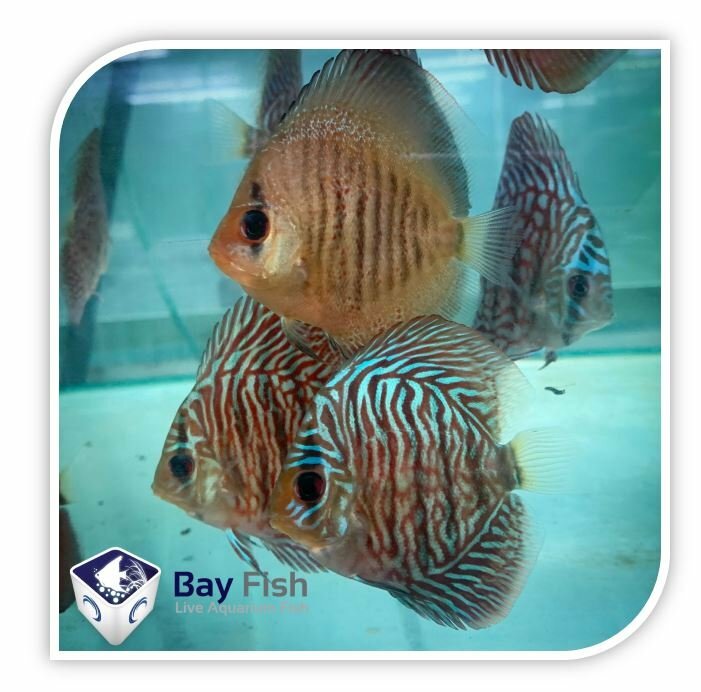 Discus prefer soft, slightly acidic water, warm temperatures (27-31 C) and regular water changes. They are quite popular because of their beautiful colours, regal bearing and also because they are a challenge to keep and breed successfully. Originally native to South America, numerous aquarium strains of Discus now exist.